Chris Collins looks on from the sideline. 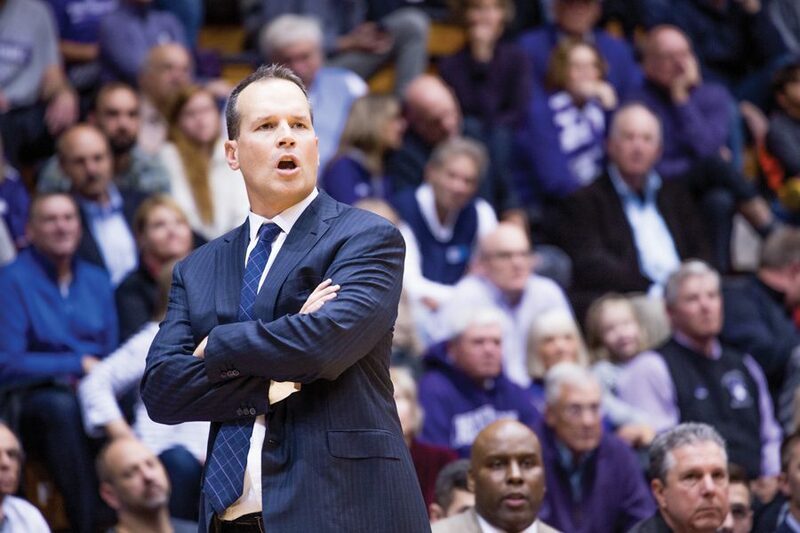 The coach’s position was endowed by NU trustees, the school announced Thursday. The men’s basketball head coaching position has been endowed by University trustees, the program announced Thursday. Trustees Tim and Sue Sullivan, along with Jeff and Laurie Ubben, contributed $3 million dollars to NU athletics to form the Sullivan-Ubben Head Men’s Basketball Coaching position, according to a news release. Current coach Chris Collins is the first to hold the position. Collins, a former Duke player and assistant coach, is in his fourth year with the Wildcats. Last year, he guided NU to its first 20-win regular season in program history. The team is off to a 12-3 start this season as it looks to earn NU’s first-ever NCAA Tournament bid. Sullivan also expressed confidence in Collins. He and his wife are residents of Wilmette and frequent donors to the University. The gift is the third of its kind at NU. Both the football and lacrosse head coaching positions are also endowed.